Should You Buy an Individual Dog Clipper or Clipper Kit? 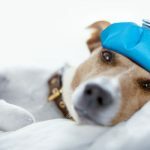 Depending on your dog, grooming them can be a time-consuming process that is stressful for both you and your furry friend. 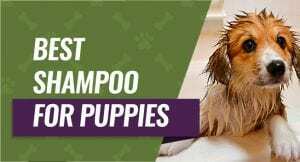 You want to get the best dog clippers available to make this process as fast and easy as possible, but there are hundreds to choose from and compare. 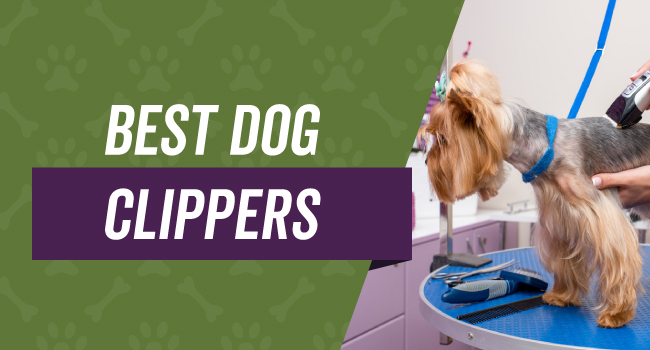 We've picked out our top five picks for quality dog clippers and reviewed them in order to let you compare them and see which one works best for your dog. We're also going to give you points to consider when you're picking out your clippers so you can ensure that you get a set that will fit your needs. Single Speed: Single speed dog clippers run at one speed instead of having several options. They allow novice users to confidently work at a steady pace to complete their grooming job. 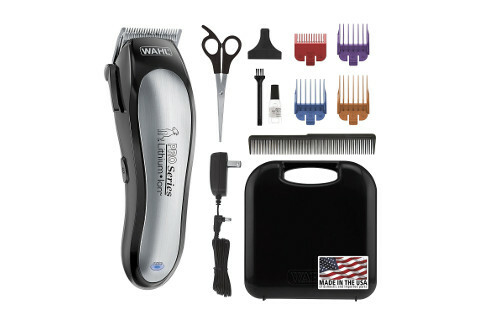 Variable Speed: Variable speed dog clippers come with several different speed options built in. They're more suited to professional groomers who are able to switch speeds as they go to cut different areas of the dog. Anyone who has a dog and who has the time to groom them by themselves rather than taking them to the groomers can benefit from buying quality dog clippers. 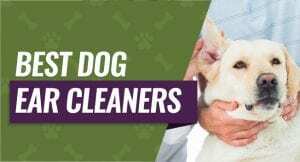 They're useful even if you don't have the time to do a full groom, but you need to touch up your dog to keep them looking their best between grooming appointments. If you have dog grooming as your profession, you'll most likely have more than one set of clippers or clipper kits around. Different types of clippers work better on different coat lengths and thicknesses. If your dog has skin problems, regular trimming and grooming can help to improve their skin's health. You may also want to get a pair of clippers if your dog gets heat stress due to their double coats. Additionally, if your dog has trouble with fleas or mites, keeping them trimmed can help reduce this problem. 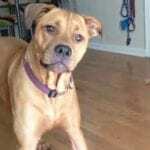 You may assume that you can use your human clippers on your dog, but there are important differences between the two of them. One of the biggest differences is the durability of the different clipper parts and pieces. Dog clippers are designed to be extremely durable because they go through much thicker hair than human clippers do. Also, the blades on dog clippers are set farther apart than human clippers, and this can mean that you miss chunks of hair if you use them on your dog. This comes down to personal preference. A dog grooming kit comes with your clippers, but you also get extra accessories like nail clippers, combs, scissors, and more. This is why they're usually more expensive. If you're brand new to grooming your dog, you may want to start off with just the clippers and move up to a kit. The individual clippers are usually less expensive because you don't get as many items or accessories. There are several things you want to consider when you're looking at the different brands of dog clippers. These key points will help to ensure you get clippers that last for years and cut through your dog's coat. Angled blades may be slightly more difficult to operate and get a close cut, but they're designed to keep a safe distance from your dog's skin. Straight blades cut closer, but you have an increased risk of gouging your dog's coat or nicking their skin. You can get clippers that run on batteries or that have power cords. Corded dog clippers ensure that your clipper is ready to go when you are, but they restrict your movement. Battery-powered dog clippers give you a lot of freedom to move around, but they only run from between 90 minutes to six or seven hours on a charge. Dog clippers generally have a stainless steel blade, ceramic blade, or both. Ceramic blades are generally more durable, but they take a longer time to heat up and get warm enough to cut through your dog's coat. Stainless steel isn't as durable, but it heats up quicker. Grooming your dog can take hours, especially if you're new at it. Your clippers should have an ergonomic design that fits comfortably in the palm of your hand. Additionally, it should be lightweight and easy to maneuver around as you move around our dog to cut different areas. Clippers with more powerful motors will be able to handle thicker coats, mats, or double-coated dogs. Lower power clipper motors tend to move a little slower, but they're good for dogs who have short coats. Dog clippers have different noise levels when they run. While this may not be a problem for you, it could make your dog nervous. 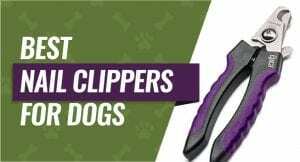 Look for a pair of clippers that come with a low vibration level and a low noise level because this can make the entire experience more enjoyable for your dog. Depending on the brand, dog clippers can be an expensive investment. You may be tempted to buy cheap clippers, but these types of clippers typically don't last for more than a handful of grooming sessions. It may benefit you to spend a little more right away and get a quality pair of clippers. The Pro Series by WAHL work on a variety of breeds and coats ranging from shorter touch-ups between grooming appointments out to medium coats and even double coats. The blades are designed for precision cutting with a self-sharpening and snag-free design to keep your dog comfortable. This clipper comes with eight hours of run time on a single charge, quick charge for a few extra minutes of run time, and a cordless design that is easy and convenient to use. You'll get a quality product that comes straight from the USA with high-quality standards. You'll get everything you need to maintain your clippers in this kit including the clipper itself, four guides, blade oil, cleaning brush, scissors, comb, and a hard-sided carrying case. This product also comes with a five-year limited warranty against defects or certain damages. Dog parents who bought these clippers for their dogs liked that they work seamlessly on a variety of coat lengths and thicknesses without an issue. Dog parents who bought these clippers did notice that it tends to get very warm to the touch with long grooming sessions. This dog clipper by PetTech comes with a lightweight and ergonomic design that is excellent for longer grooming sessions because it helps to reduce arm fatigue. The cordless design makes it fast and easy for you to maneuver this clipper around your dog as your groom different areas without worrying about running out of room. This complete grooming kit features a variety of products that help you complete your dog's entire grooming routine including the clippers, scissors, nail trimmers, four guide heads, comb, nail file, blade oil, and a small blade cleaning brush. Each blade features a contoured design that glides along your dog's skin to prevent cuts and nicks. Each of these clipper kits comes with a lifetime replacement guarantee that makes it fast and easy to replace a set or get a refund if something happens. They're designed to be quiet with a low vibration so it shouldn't startle your dog if they're more skittish or timid. Dog parents who bought PetTech's kit were happy that it came with all of the necessary pieces to do a full groom. Dog parents did mention that these clippers tend to stall in very thick or matted coats. This durable clipper set by NEISALL comes with lithium ion batteries that are rechargeable so you don't have to worry about going to use your clippers and picking up a dead set that you have to wait to use. You'll get a stainless steel fixed blade combined with a ceramic flexible blade to keep your dog safe while you cut them. The blades on this clipper set take a long time to get dull, and they're very easy to take apart and clean or maintain. This kit comes with four guard combs, the clippers, power cord, rechargeable batteries, scissors, comb, and a cleaning brush. The clippers have a lightweight and ergonomic design that fits into the palm of your hand and makes it easy for you to maneuver them around your dog as you cut their coat. It's designed to give off low vibrations and run very quietly each time you turn it on and use it. 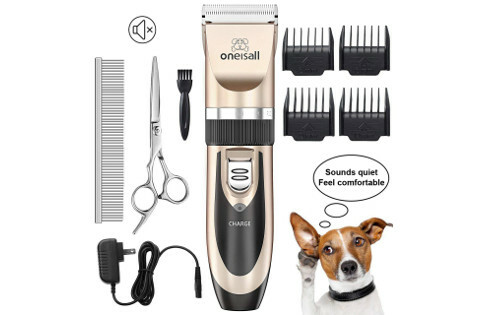 Dog parents who purchased ONEISALL's clipper set liked that it featured one fixed stainless steel blade and one flexible ceramic blade. Dog parents did point out that these clippers don't work very well on thick coats without stalling. This lightweight clipper set by Razoo comes a titanium blade that's angled for maximum cutting power with a supporting ceramic blade for efficient and smooth cutting. You get two attachment guide combs that allow to to quickly and safely thin out your dog's coat while staying well away from their skin. You'll get a precision motor that Razoo designed to have low vibrations to decrease how loud these clippers are when you use them. The clipper is lightweight, cordless, and able to run for up to 90 minutes on a single charge without wearing down. This grooming set comes with the quiet clipper, two grooming attachments, one power adapter, a stainless steel scissors, stainless steel comb, and a cleaning brush. This clipper also has a year warranty against damage or defects that allows you to return it for a refund or switch it out with a new set if it breaks. Dog parents who bought Razoo's dog clippers liked that the angled blades stayed away from their dog's skin when they clipped their coats. Dog parents who tried Razoo's clippers did mention that you don't get a long run time on a single charge. Our pick for the best dog clipper is the WAHL Lithium Ion Pro Series Cordless Dog Clippers because you can use them on a variety of coat types including short, long, and thick without an issue. We liked that the blades are designed to sharpen themselves each time you switch it on and use it. You get eight hours of run time per charge, and this is long enough to clip both large and smaller dogs. Finally, we liked that these clippers came with a kit that had everything we needed to do a full groom in one session.